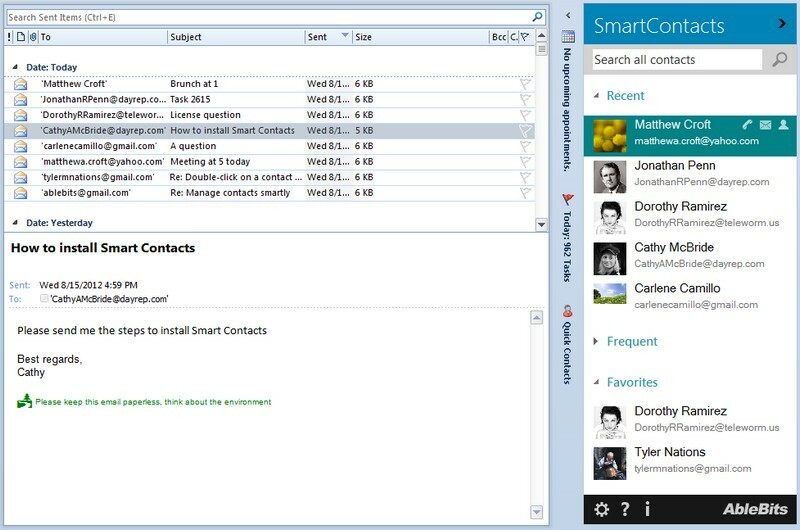 Smart Contacts for Outlook is an add-in that makes contact management in Outlook simple. It organizes your email recipients into 3 groups: automatically see your recent recipients added, get frequently used contacts and create your own Favorites. You can find all Outlook contacts right from the add-in pane and edit them on the go. When writing an email, see all recipients marked and add or remove others in a click. Is an add-in to MS Outlook 2000/2002 that allows routing your outgoing messages through fast and simple rules.